Popular songs that express the joy of knowing God's love. Arranged for guitar, keyboard, voice and solo instruments. 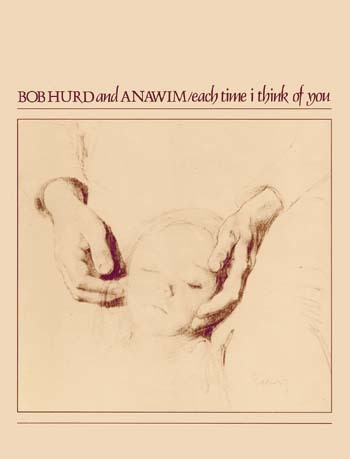 Each Time I Think of You contains 11 encouraging songs that capture our Savior's love and compassion for us. The album can soothe a weary heart, and simultaneously inspire peace and hope to all who listen. Song after song, Bob Hurd and Anawim invite peace and mindfulness of God's presence in our lives. Beautiful rich voices accompanied by elegant instrumental harmonies and lovely arrangements, the collection is heart provoking and beautiful. From "Song of Blessing" and "Be It Done Unto Me" to "Ready the Way" and "Create in Me," Each Time I Think of You has become a timeless treasure.